New Years | veganopoulous.com <-- I've moved here! Growing up, New Years Day was always an important event in my family. January 1st is also St. Basil’s Day . St. Basil was (if I remember correctly) a forefather of the Greek Orthodox Church and well loved for his kindness to the poor and underprivileged, animals and children. My grandparents were devout Greek Orthodox Christians and although I’m not religious in any way, I still like to include some of what made January 1st special for them. It is also the name day for people named Basil/Vasillios (often named ‘Bill’ in English) or Vasilliki (‘Victoria/Vicky’). My grandfather was named Vasillios, which is why January 1st was such a big deal in our family 🙂 The vegan foods served would include fresh garden salad (my grandparents grew the sweetest, juiciest tomatoes from a garden they started in 1953), pilafi rice, fried zucchini, dolmades and roast potatoes. Everything else was very non-vegan. My grandparents have all passed away and my dad still likes to have small family get togethers on January 1st, although it’s pretty much just immediate family and no longer the big celebration where you only see other relatives that one time a year. For dessert I made a chocolate cashew cream with 2 cups of soaked cashews, about a cup of almond milk, raw cacao powder and enough soft Medjool dates for sweetness. Forgot to take a photo of that. Now, on to the Vasilopita! On New Years Day it is traditional to bake a Vasilopita. ‘Vasilo’ refers to Vasilli/Basil and a ‘pita’ is a kind of pie or cake. Think spanakopita– ‘spanaki’ is spinach, ‘pita’ the pie/cake. ‘Karithopita’– ‘karithi’ means walnut, so Karithopita is walnut cake. Anyway, the Vasilopita contains a coin hidden in the cake somewhere. Whoever gets the piece with the coin is supposed to have good luck for the coming year. 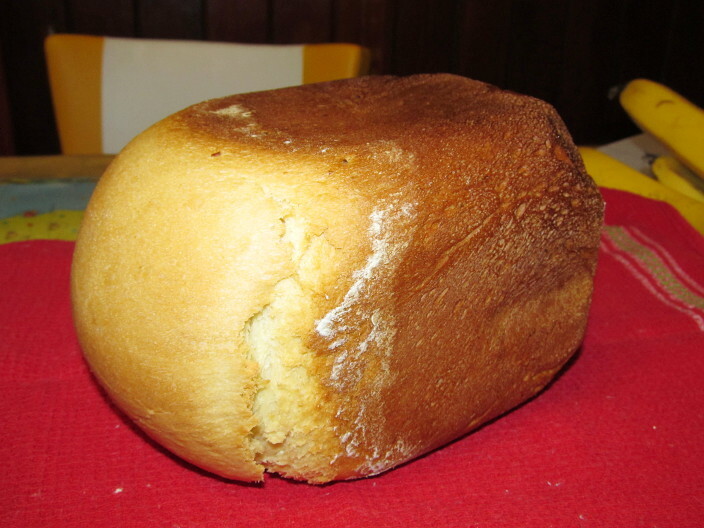 Some people make the Vasilopita as a bread, using yeast. Others make it more like a cake. A lot depends on the region one is from, or family tradition. For me, I initially opted to make the bread version as it’s less sweet but when I looked up some recipes, I realised I left it too late to do the whole dough rising, then rising again thing. So I had to switch to the cake-like Vasilopita. And now we’re back home again. Tomorrow I’m looking forward to getting back in to my raw juices and smoothies. Tonight I’m looking forward to a lot of sleep! The weather was gorgeous. When we got home we just relaxed a bit and Arthur got stuck in to his library books. He saved some of his cinnamon bun for DeeW. Have a great new years, wherever you are! I previously wrote about Mister Nice Guy’s Bake Shop here and here.